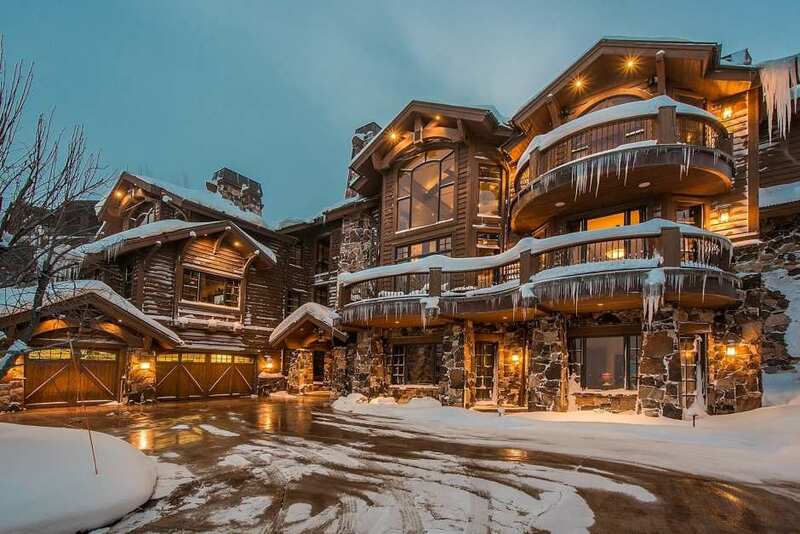 Experience the ultimate in ski-in/ski-out luxury in Deer Valley with this exquisite home in the exclusive Deer Crest neighborhood. After a long day on the slopes, ski right back to your home and immediately retreat to the large private hot tub to soak your tired muscles. Afterwards, whip up a gourmet meal in the gorgeously appointed kitchen or pull out a bottle of wine or two from the wine cooler to enjoy après in style! End the night all cozied up in your pajamas in the home theater room watching your favorite movie. The Chateau du Sureau is the perfect ski getaway home, equipped with everything you could possibly want for a ski getaway: a mud room for your boots, coats, and ski gear, private hot tub, wine cellar, home theater, sauna, wet bar – even an elevator so your tired legs won’t have to climb all the stairs in this house! Chateau du Sureau boasts an open concept layout, soaring cathedral ceilings, and Viking appliances in the kitchen – perfect for the culinary-minded guest!